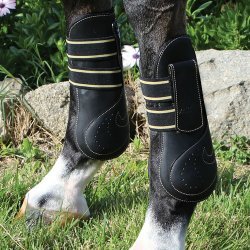 The "Active" fetlock protector for top performance. Ankle boot in neoprone with velcro straps. Fetlock guard with anatomically shaped shell in polyurethane. 6mm thick neoprene internal padding, lined and edged in Lycra. Waterproof, does not absorb moisture, easily hand washable at 30 degrees. Interchangeable straps with Velcro fastening, fixed with tamper-resistant stainless steel screw. The Veredus collection covers a broad spectrum of horse management & health aspects. 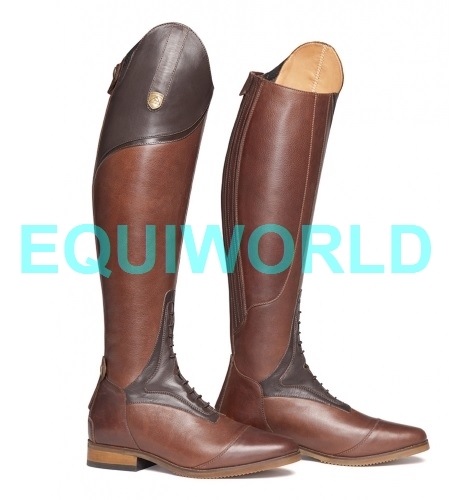 Best known in the UK for their extensive collection of horse boots that incorporate the latest in technical fabrics and science, the brand also offers a wide range of supplements, hoof and grooming products, gel pads, saddle cloths and magnetic stable boots. The Veredus Boot Collection ensures that your horse's legs are protected in the latest most technically advanced anatomically designed boots available on the market. They are passionately committed to a complete and innovative line of sport horse protections: advanced technology, leading-edge raw materials, accuracy and attention to detail are the elements that make Veredus unique.